S 466 x 500px 0.5 Mb. M 932 x 1000px 2 Mb. L 1865 x 2000px 8 Mb. XL 4662 x 5000px 15 Mb. 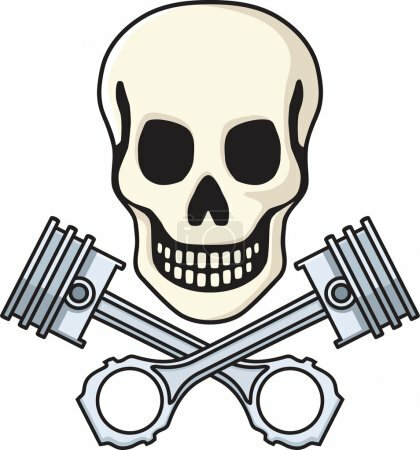 Vector illustration of skull and crossed pistons. Easy to edit colors and shapes.